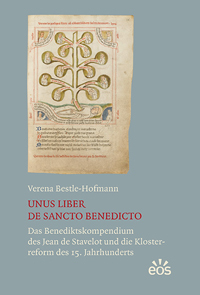 At the heart of this book is a detailed reading of a variety of primary sources emanating from the Benedictine communities of Stavelot, Malmedy, and, to a lesser extent, Prüm, in the Ardennes. The time-frame of the study is lengthy, from around 650-1150. In general, Ellen F. Arnold seeks to derive from these sources an understanding of the way the monks related to the local environment. This relationship, she argues, is quite different from the common view that, before modern times, the natural world was seen only as a God-given resource for use and exploitation. More specifically, she looks for evidence of consistent, multi-generational efforts on the part of the monks at managing the land in a sustainable way. As she sees it, environmental historians and historians of ecology need to take fuller account of the spiritual and religious character of the medieval world, and thus pay closer attention to monastic sources. Although information is gathered from letters, charters, and other official records, the most original aspect of this study is the way hagiographical sources are exploited to access deep cultural attitudes toward the environment. As a sort of watermark behind the five chapters of the book, the anonymous eleventh-century Passio Agilolfi provides guiding insights that come to full light in the Epilogue, "The Passio Agilolfi Revisited". Other hagiographical works used include, for instance, vitae of Hubert, Poppo, Quirinus, and Remacle. A common characteristic of these hagiographical texts is their intensely regional character. Ellen F. Arnold's patient attention to details and subtleties in the narratives yields insights easily lost through modern readers' understandable impatience with the conventions of miracles stories. As she points out in the Introduction (13), the potential value of such seemingly obscure regional sources is too often overlooked. Her book's greatest contribution is precisely that it points the way for scholars willing to engage closely with such texts. Stavelot and Malmedy were chosen for this study because of their forest location, which seems to have given them a more richly layered relationship with their surroundings than is the case with the more common monastic experience of open-field agriculture or urban life. Texts emanating from this forest environment, where wilderness and human cultivation necessarily overlap, carry important lessons about the medieval experience of the environment. Another contribution of the book touches precisely on this point. As Ellen F. Arnold says in the Introduction: "Our understanding of the medieval world will be deepened if we allow the lines to blur between wilderness and domestic nature, the secular and the spiritual, the miraculous and the mundane, and monastic ideal and reality" (28). The first two chapters explore the first of these pairs, i.e., the forest as both uncontrollably wild and capable of being tamed and transformed into a pleasant and useful pastoral setting. The sources consulted here are primarily administrative documents. Chapter 1 ("Religious Roots: Foundation in the 'Forest Wilderness'") includes a helpful survey of the various and overlapping meanings of the key Latin terms for 'forest', 'woods', etc. Chapter 2 ("Controlling the Domesticated Landscape: Value, Ownership, and Religious Interpretations") explores evidence of concrete practices regarding sustainable land management, e.g., coppicing and grazing agreements, and the active cultivation of loca amoena, places of beauty and bounty that reflect the monks' spiritual ideals and understanding of creation. With chapter 3 ("Fighting over Forest: Establishing Social and Religious Authority"), the focus of the study shifts to a series of hagiographical texts. The preservation and creation of stories about saints and miracles is presented primarily as an exercise in controlled memory. Written records of this kind select from the collective memory elements that both give the monks stronger historical claims on their property resources and make room for the restoration and maintenance of relationships. In the case of Stalevot-Malmedy, conflict and the resolution of conflict are major features of both their foundation stories and the various vitae they produced. Chapter 4 ("Creating Conflict: Forests in the Monastic Imagination"), the most engaging part of the book, retells and analyzes key episodes from local saints' lives and miracle stories. It deals mostly with the Miracula Remacli (composed in stages from 850-1050) and the Passio Agilolfi (written in the 1060s or 1070s). In these texts, local history is reshaped through narratives in which invented conflicts of the distant past are used to reclaim rights and privileges in the present. Chapter 5 ("The Religious Landscape and Monastic Identity") is a synthesis of the book's themes around the notion of a religious landscape, in which "monastic power, ideology, and religious identity were inscribed onto the people and the natural world" (29). A particularly good insight here is that narrative sources like the Vita Huberti associate the transformation of wild landscape into domestic territory with the process of evangelization. 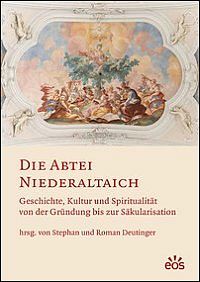 This final chapter attempts to strike a balance between seeing the Ardennes monks as manipulators of stories for the sake of socio-economic power and as men who used their understanding of nature "to enhance their religious goals" (209). It must be said, however, that throughout the book the Malmedy-Stavelot monks are depicted as much more interested in political power than in things spiritual; the notion of "religious goals" remains quite vague. 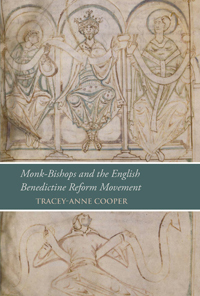 Apart from some references to the monks' biblical culture, the book takes little account of fundamental monastic sources of religious motivation like the Rule of Benedict. 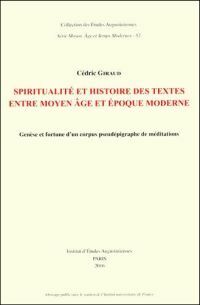 The closing sentence of the book betrays this insistence on control and power: "By telling these stories about the environment they lived in, the monks maintained their own prominence, reinforcing their economic control over the agricultural landscape, their religious control over the local residents, and even their self-identity and their relationship with God" (218). 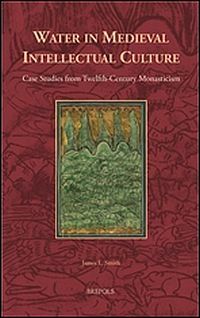 Ellen F. Arnold's remark that historians of the environment need to "embrace and explore the spiritual and religious character of the medieval world" (4) might also be directed back at her own study. 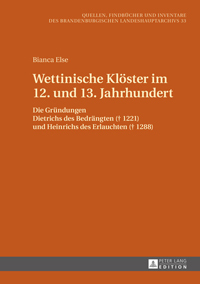 Her approach to the hagiographical texts she analyzes emphasizes institutional claims on land, relics, and other sources of power to such an extent that little room is left for potentially higher motivations. This approach does not make sufficient allowance for gratuitous interaction between spirituality and land management as depicted, for instance, in Martha G. Newman's The Boundaries of Charity (1996), especially chapter 3, a work that would have served well in the bibliography. 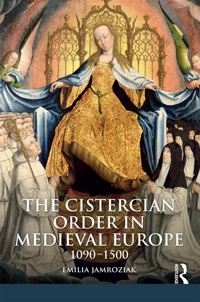 The choice to remain within a predominantly Benedictine perspective is understandable in a case-study focused on Stavelot-Malmedy, but the inclusion of basic Cistercian articulations of the principles at work - excluded it seems through an uncritical reading of Constance Berman's The Cistercian Evolution (62-63) - would have strengthened the book's central arguments. 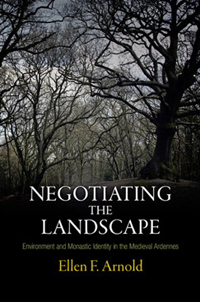 All told, Negotiating the Landscape is a well-conceived and well-researched study - with, incidentally, an excellent index - that will richly reward readers interested in medieval environmental studies and in the general topic of monastic use and understanding of land, both wild and cultivated. Of particular value is the way a variety of fairly obscure and difficult written sources are analyzed at great depth. The methods developed here promise to bear fruit in other case-studies and in other contexts.